"Syntactic sugar": After self-studying what seems like a narrow and ever-changing field for four years this term keeps rearing its head. I'm not usually one to squabble over the semantic aspects of any language... but this noun has sent me into a confusing tailspin before. 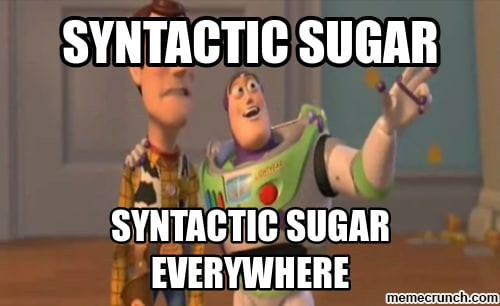 The first time I heard of the term "syntactic sugar" was in relationship to React. I heard about it in terms of JSX in a Wes Bos React video. Then it was described as such in terms of async and await. Hell, there are even talks on this! (Without Googling) What I interpret it to mean between seasoned developers, is that syntactic sugar is an aspect of a language or framework that allows devs to write code in an abbreviated, clear and/or easier way. Couldn't it be argued that anything that abbreviates or makes writing code simpler and cleaner "syntactic sugar"? Wouldn't template literals, destructuring or even ++ and += then be syntactic sugar? Despite the analogy, the term "syntactic sugar" did not/is not helping me, or learners understand what the very sweet, refined characteristic of a language or framework does! Every time I hear it, I'm just going to omit and continue reading the examples. Ok. I'm open to hearing how this term is canonical and useful. It's likely I'm just "young" on my second career and disgruntled. So I did have to google if anyone on the internet shared my opinion, and this post seems to place my sentiments more eloquently. Quora | What is Syntactic Sugar? Interesting points, most of which I hadn't thought too deeply about before. I do find "syntactic sugar" has become a weasel word, much like "scripting language" is. It is often deployed as a way of belittling the value of a language's syntax choices. I suppose by some interpretations, everything is "syntactic sugar" because we're not writing in binary. By even Landin's original usage, it's just a symbolic abstraction, and all modern languages are effectively symbolic abstractions. While I like the idea proposed in the comments that "syntactic sugar" adds no actual features, but rather just makes the code easier to read and write, one could make the counterpoint that we never actually have "new features" by the truest definition of the term. We can replicate all imaginable behavior in assembly/binary, desugared, but nearly all of it would be too complicated for direct replication to be practical. In other words, it would be tremendously stupid of me if, for no other reason than to avoid "syntactic sugar," I built an application in C that could have been written to identical spec and goals in Python, given the fact I know both languages. Yet some coders I know will do exactly that. By the way, that does not include projects for continuing self-education; knowing languages like C gives one a deeper working understanding of, not to mention an appreciation for, the abstractions that exist. By the way, I'm not sure your particular choice of title is entirely constructive, mainly because you shouldn't devalue your own post by labeling it such. By the same token, you're not a bird brain or a knucklehead. Belittling yourself and your work is only useful for destroying your self-esteem and crippling your own growth. Never confuse a lack of knowledge with a lack of intelligence. A birdbrain couldn't have even written this article. P.S. May I recommend you reace the #unpopularopinion tag with #healthydebate? This fits right into that category, and again, I wouldn't devalue your opinion so much! I included #unpopularopinion as a reference to the same hashtag on twitter. I'm going to add #discuss. "Sh*tpost:" was my attempt at a linkbait title. I always hope to get people reading and responding hehe. I imagine that self effacement is a self-protective coping mechanism in addition to my inclination towards new sincerity (authentic, earnest, gratuitous expression). Thanks for your response, and you've given me a lot to think about in regards to it as an actual compsci term! And yeah, if we consider the scale and complexity of certain applications, sugar makes sense due to not repeating oneself, cutting down lines of code, etc. I think my disgruntlement was over the blurriness of its meaning. It could be a feature, a transpiling/intermediary syntax on a framework, it could be a bunch of new syntax in a newer version of a language... etc. And coming from a learner's perspective, it seemed like jargon that was a hindrance to understanding exactly what that "add-on sidedish" of a syntax did. On the same lines of logic, being able to talk about code doesn't mean I know how to code proficiently. But I'm definitely enjoying reading more about the details of how JS works and making quantum leaps in my own way. I know where I stand given the general response and performance on the job. There's been a bunch of failures in the last two years, but I enjoy coding. I believe intellectual vulnerability is important for learning and creating good vibes. In case I seem to devalue myself too much I have salary negotiated and tried to prove myself as much as I could that I was a valuable member in previous positions. Previous experience has made me feel inauthentic when acting confident or burying insecurity in addition to trying super hard to fit in various work cultures. Guess time will tell. In a few years I may regret this style of writing. I appreciate your encouragement and know what you mean though--used to teach/mentor art students. Hated that they felt nerves over explaining their relatively young practices. I'd be like, "It's art, not brain surgery. You're doing it! Who cares what kind of artist you are?!" Hum...I supposed the term is more relevant to verbose languages. For example, the term is useless in Ruby where almost anything can be written in three different ways. Taking your example of React, JSX is not a feature of JS. It's a feature of the development environment most React users work in. (You can write pure React code without transpiling but you won't have any JSX). So, in that case, it still makes sense. True, I only have 1 language to evaluate how that term is used and this could be helpful in a compare/contrast sense. Syntax sugar is a sweet way to say "This code is not giving any extra business value". For example, JSX is for to write the DOM, so instead of writing the dom, we write the JSX that writes the DOM. What is the extra value?. Fast reading the dom?. We could do it with variables. Fast writing the dom? Well, all of them write the DOM but JSX adds a new layer so it's slow. I didn't think about the performance tradeoff JSX might introduce. 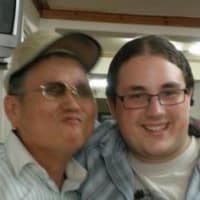 I don't have a huge understanding of React (attempted to learn twice while working fulltime and turned to vue eventually. Heard of its virtual DOM).Did you mean it is slower than other frameworks or... than writing the same thing in JS itself? The concept of virtual dom is cool. However, it is not really usable for every single application. For example, let's say a classic web: HTML + JQuery. I draw the HTML (that is fast) then I call JQuery to modify the DOM. If the changes are minor, then modifying the DOM directly is quite fast, for example reading field of a form. 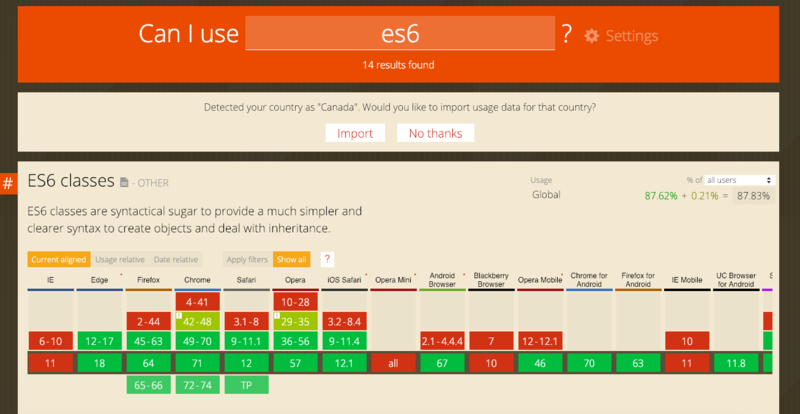 The alternative is to create a JSX and to use React to render the HTML (so the browser is doing an extra job). And, if we want to modify the dom, then we access the virtual dom. This virtual dom accesses to the dom, so we are adding a new layer again. JSX shines when we need to modify intensively the DOM. I always interpret syntactic sugar as "unnecessary shortcuts". So a third party library that adds a layer of convenience functions on top of AutoLayout, for example. If all I think it's doing is providing some syntactic sugar, then I'll probably stay away. Why save some keystrokes and build up crutch with some shortcuts when I can just do it the "right way"? There are so many third party libraries who's sole purpose is to decrease the verbosity of your code, and I don't really see "typing too much" as a problem I have. I agree with you Jen in the sense that we might abuse of extraordinary key words to speak about simple things. When we hear "syntactic sugar", we stop at syntactic and think of something very elaborated, a very mature concept, then moving on sugar we stop again and think "wait what, is it not supposed to be a serious concept? Why sugar? What does it means?". Developers are some funny species, trying to put a little bit of spices on their life (you got it, spice, sugar,...) to make things more digest I guess. But again, I think sometimes things are amazingly more obscure than they were meant to be. When used, the term Syntax Sugar means that you should probably look it up, and see how this thing can be desugared to better understand the topic. Yes, I never cared much for it. It doesn't add anything useful to the conversation and it will most likely be used with a condescending tone by someone who's job is to lecture you on things you already know. Honestly I've only come across it once reading the MDN doc page on JS classes. I understood classes, when they first released for JS, to do nothing really different from objects. Well they allow constructors and stuff, but it was never on par with how they behave in other languages. So yeah, not a fan of classes in JS, and I saw the term as a demeaning way to refer to the feature. Marek really nailed it, but I don't see it that often. If this is bothering you, maybe you're reading too much? That can be a problem for audodidactic learning. Sometimes you can be on the 'learn' path too much. Try making stuff rather than reading what people talk about. As far as it being a canonical term, I don't really think it's one to bother yourself over. I've been starting a personal list of terms that I find much more valuable than syntactical sugar. I'm fine with syntactic sugar.